William Bodkin, previously a baker and landlord of the Ten Bells public house, opened a Mineral Water factory in Earl Street in 1878, before moving to Week Street in 1882. The business closed in 1910. Walter Hayward began the manufacture of mineral waters at premises in Milton Road circa 1899. The business was taken over by his wife in 1927 and operated from the same site until 1960, when the firm amalgamated with Pope & Son to form Pope & Hayward and then moved to their premises in Staplehurst. Colour: Top (above shoulder) yellow-brown; bottom (below shoulder) plain; black print. The business was founded by Daniel Thomas James Lyle (1852-1924). 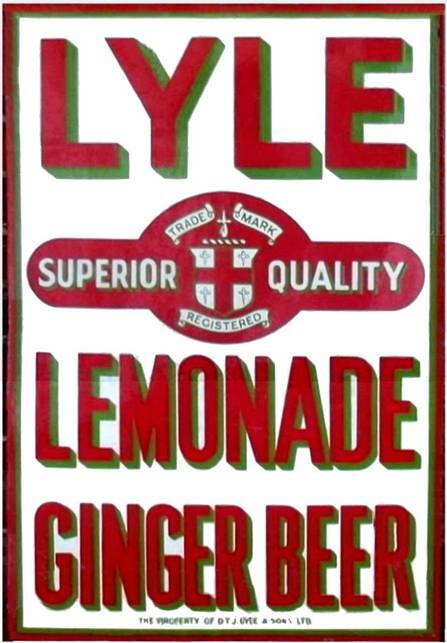 The Lyle family in general owned other businesses for the manufacture of drinks, including Ashford and Tunbridge Wells in Kent and also at Redhill in Surrey. Kent. Basically there are four different layouts for the label, with different bottle shapes known for each. They are shown below in what is believed to be the approximate order in which they were used. NB. The above (not illustrated) is assumed to be Maidstone but may belong to a Lyle company located elsewhere (possibly Ashford or Tunbridge Wells). Albert Edward Rowcroft began as a chemist in Week Street. He manufactured his special Lemon Brewed Ginger Beer from 1903 to 1909. Labels on bottles for the Temperance Beer Company (see below) are almost identical in wording and layout except for the name. The Medway Brewery was acquired by A. Style in 1889 and ten years later he formed a partnership with E. Winch, trading as Style & Winch. Although a brewery they also manufactured mineral waters, including ginger beer. The company had several branch stores and acquired several other small breweries throughout Kent. It continued in business until 1964 before being taken over by Courage. The brewery closed down in 1971. Colour: Neck dark brown; bottom (below neck) plain; black print. Labels on bottles for the A. E. Rowcroft (see above) are almost identical in wording and layout except for the name.